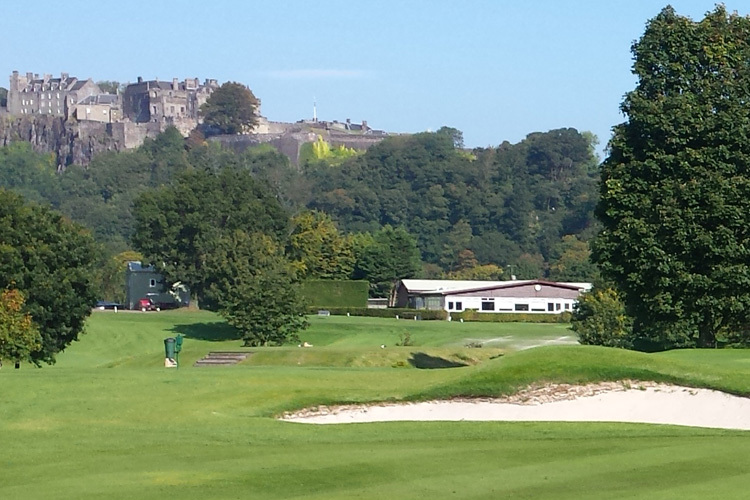 Welcome to Stirling Golf Club – one of the oldest and most picturesque courses in Scotland. 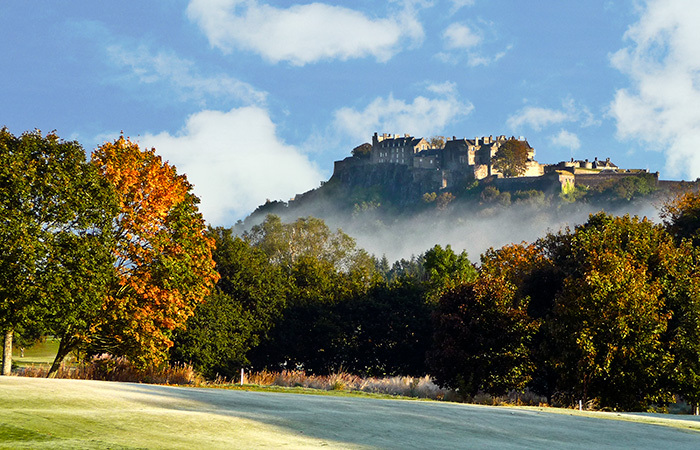 Set against the inspiring backdrop of the Old Town of Stirling, built on ancient volcanic slopes, and crowned by the historic Castle rising above the spectacular crags. 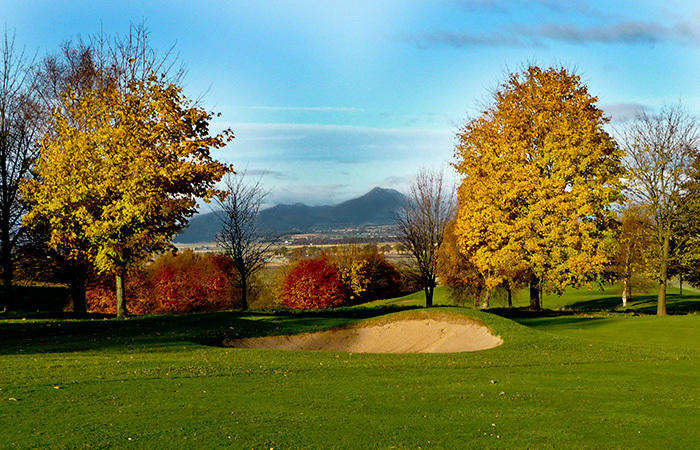 There are stunning views from the course in all directions across Central Scotland – the Ochil and Lomond Hills to the east, the Carse of Stirling, the Trossachs and the Southern Highlands beyond. 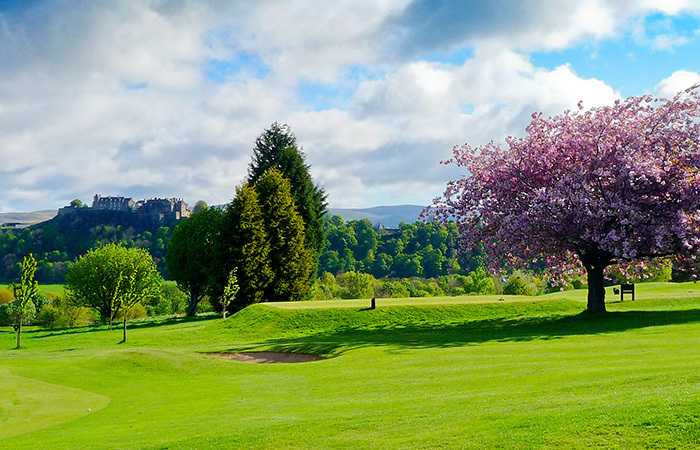 Set in the old royal hunting grounds of the Kings Park, Stirling Golf Club has a course of excellent quality and unique character – a golfing experience not to be missed. Originally designed by Tom Morris, the club was formed in 1869 and celebrates its 150th year in 2019 – but we are aware that Kings Park has a much longer association with the game of golf and boasts hosting the likes of Robert Burns! 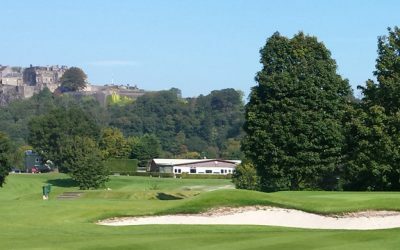 Over it’s long history, Stirling has developed into a golf course that is both a pleasure to play and a challenge to low and high handicappers alike. The greens are complemented by lush fairways, and the graded rough keeps play moving. The trees have matured and now present beauty and many a hazard. 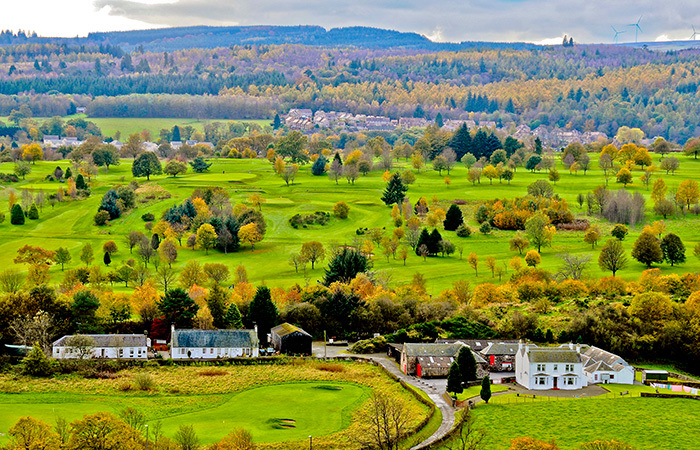 We are also proud to be part of the world famous James Braids reciprocal association and have close links with a number of other local courses, so planning a golf outing in Central Scotland can provide golfers a rare treat if you want to add a new experience to your annual trip to Scotland. We are 20 mins from Gleneagles, 45 mins from the Old Course, St Andrews and Kingsbarns and an hour from East Lothian. COURSE STATUS – Please check V1 App or BRS to keep up-to-date with course status updates. The Captain’s Prize Final -singles matchplay- was contested on Sunday with last years finalist 64 year old Peter McGuigan playing 26 year old James S Todd who won last years club foursomes with partner Liam Haldane. Stirling Golf Club Gents Seniors Team have completed a very successful season by winning the Central and Lothians Seniors League by 2 points from Falkirk Tryst GC.